Stripes again? Yes! This is absolutely a timeless staple, not matter what season, it always can work well. In cold season, white clothing may look bloated because you wear too much clothes, hence it’s more suitable for warm season! Sometimes, we just want to spend our weekend hours at home in order to enjoy lazy moments. 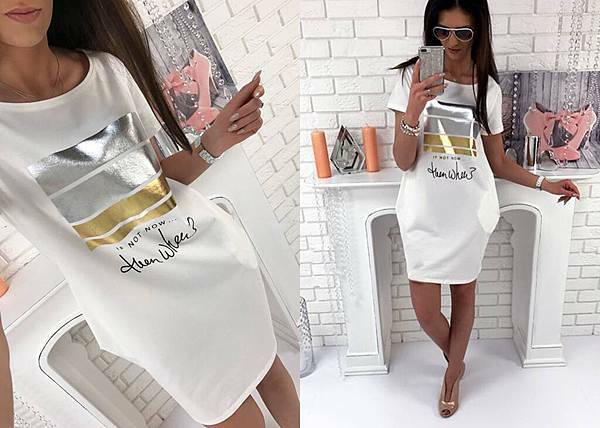 In this case, a shirt dress is a nice choice.Even if you suddenly want to go out for a walk or to entertain guests at home, you will not be embarrassed by being too casual. When there is an important party coming soon, we always think we lack a perfect dress. We all know that LBD is a super versatile item but don’t you feel boring with it? There are countless people wearing a LBD at the party, and you wear a LWD, why are you not a special presence of dazzling?! 下一篇： ATTN: New Landed! So Summer!